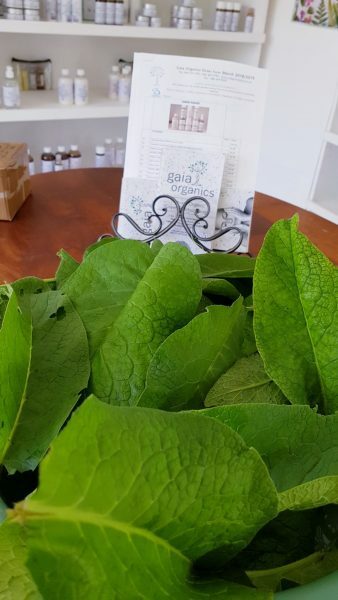 The power of Comfrey forms a major part in our formulations and luckily I have it growing in my back yard for easy picking ! Comfrey has really great healing properties. These leaves were used to start a new batch of Royal Bio Nutricell (gold), Nutricell Body Lotion and Bio Nutricell (green).